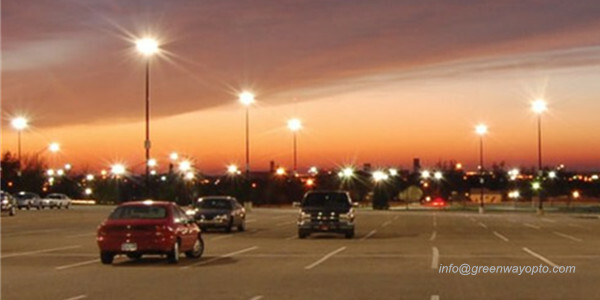 Targeted lighting in the parking lot, is not only meet the requirements of use, but also ensure that the needs of the property and personal safety. entrance booth lighting, designed to display the driver‘s face to ensureidentification and communication; booth table and the vicinity lighting in the region to ensure payment, checks the access card or documents needed; entrance railings, lighting facilities and ground shall be providedon both sides to ensure driver‘s safety. Lighting can be seen, if it‘s the latter, it shall be taken into account in designing thelighting for their, mostly by other lighting to accommodate, if not both, you shouldset up special lighting. Amount taken into account. When setting up lighting should ensure that all markings are clearly displayed. Car parking in place body through proper lighting display to facilitate access for other vehicles. Although the each vehicle has its own front and rear lights, but tosee all of the lights alone are not enough. Pedestrians pedestrian routes for my car or get off and leave, there will be a pedestrian road, this section should be considered on the ordinary road lighting, namely: the need to provide the right vertical surface of the ground lighting and lighting, in addition, orientation lighting is necessary. Environmental parking environment should have a certain amount of lighting tomeet identified needs, there are safety considerations. Also, in parking around through set continuous of lamp Rod formed a array column, can up to sight barrier of role, makes parking both inside and outside reached a isolation of effect, reduced parking on field outside environment atmosphere of effect, after all vehicles or parking to not public environment in the of beautiful decorations, they has may damage environment was of harmony; lamps of styling also in must degree Shang has transfers environment of role.